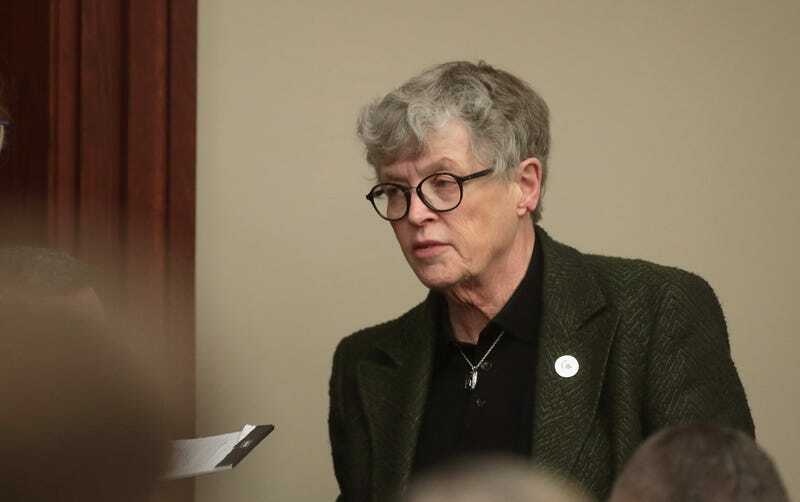 The New York Times reported on Wednesday that Michigan State University president Lou Anna Simon resigned over her handling of the Larry Nassar sexual assault scandal. Earlier that day, Nassar was sentenced to 40 to 175 years in prison for 10 counts of first-degree criminal sexual conduct. During his trial, 156 women spoke to the court about Nassar’s decades-long pattern of sexual abuse. In addition to being the physician for the United State gymnastics squad, Nassar performed similar work for two Michigan State women’s varsity teams and was a member of the Michigan State faculty for several years. Simon also wrote in her letter than she had “planned to retire in December 2016” when “the Indianapolis Star article appeared about USAG and one of the victims contacted MSU police to file a complaint.” As the investigation progressed, Simon wrote, she decided to postpone her resignation.